The University of Richmond has launched a new program to make theatre and dance more accessible. The Department of Theatre & Dance in partnership with the School of Arts & Sciences introduces “UR Free Theatre & Dance,” a free performance series that showcases student talent. Playwright Gina Gionfriddo dissects modern gender politics in this comedy, in which two women choose opposite life paths after university. 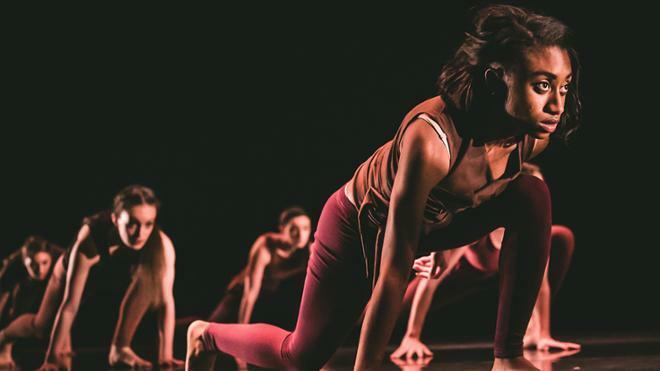 This University Dancers’ contemporary concert features the works of innovative and talented choreographers, in addition to live music and vibrant costumes. This musical, written by Pulitzer Prize-winning playwright Tony Kushner, with music by Tony Award-winner Jeanine Tesori, is a playful, funny, and deeply moving portrait of America on the cusp of momentous social change in 1963. All performances on Thursday, Friday, and Saturday begin at 7:30 p.m. and on Sunday at 2 p.m. The events are free to the community, but reservations are required. For more information and ticket reservations, please visit the Department of Theatre & Dance website.